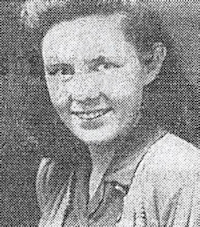 Obituary – Zemp, Lillian May (Melugin) « Perry High School Alumni Association, Inc.
– daughter of Mr. and Mrs. F. T. Dover, 825 Fir street. She is 19 years old, was born in Perry and has lived here for 14 years. Lillian went to grade school in Helena. She also received part of her education in the Western Oklahoma Home, Helena. Her junior and senior high school years were spent in Perry schools. Lillian is making plans to become a telephone operator when she graduates from Perry high school. A memorial service honoring the life of Lillian May (Melugin) Zemp, 89, will be held at 1 p.m. Saturday, Jan. 5, 2013 at Perry Assembly of God Ghurch. Rev. Brett Nation will officiate, assisted by Rev. Lonnie Rutherford. Mrs. Zemp died at 2 p.m. September 8, 2012, in a vehicle while traveling from Incheon to Daejeon in South Korea, where she had gone to visit her granddaughter, Jessica Hembree, and her family. She was born May 10, 1925, on a farm west of Perry now covered by Perry Municipal Lake. Her parents were John and Onia (Todd) Melugin and later, she had a step father, Frank Dover. She attended Perry Public Schools and graduated from Perry High School in 1943. On June 2, 1944, she married Paul H. Zemp at the Noble County Courthouse. The couple farmed and she raised cattle, which she continued to do after her husband’s death. She was employed as a. cook for the Pancake House about four years, worked at The Charles Machine Works, Inc., for a number of years and enjoyed serving as a Foster Grandparent at Perry Elementary School for 10 years. She also was a childcare giver in her home for a period of time. 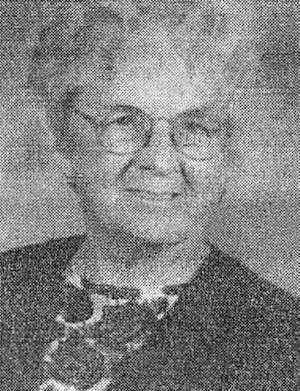 Mrs. Zemp was a member of the Perry Assembly of God Church for 60 years, where she taught the nursery class and was a member of the Women’s Missionary group. She was also a member of the American Legion Auxiliary, Noble County Republican Women, Noble County Cattlemen’s Association, and the Golden Circle Homemaker’s group. Survivors include a son, Paul H. Zemp Jr., and his wife Toni, and a daughter, Cynthia Hembree, and her husband, Eddie, all of Perry; three granddaughters: Jessica Hembree and her husband, Terry Lee, Incheon, South Korea; Crystal Hembree, Collinsyille, Oklahoma; and Brandi Hebree, Norman, Oklahoma; four great grandchildren: Lillian, Muriel and Michael Thompson, CollinsviUe, and Benjamin Lee, Inchoen, South Korea; a sister-in-law, Norma Zemp, Perry; and numerous nieces, nephews and friends. She was preceded in death by her husband, parents and stepdad; three sisters: Edna Moore, Sarah Glover and Eva Law; one brother: Samuel Leroy Melugin; two nephews: Leon Moore and Phillip Glover; her mother and father-in-law: Lewis and Lillian Zemp; sister-in-law, Esther Ritthaler; and brother-in-law, Glenn Zemp. She lived a life that was tougher than many, but her sweetness will be missed by all who knew her.